The global automotive battery thermal management system market was valued at USD 1.5 billion in 2017 and is anticipated to grow at a CAGR of 15.5% during the forecast period. The automotive battery thermal management system controls and optimizes the operation and efficiency of batteries. The automotive battery thermal management system includes air cooling system, liquid cooling system, direct refrigerant cooling system, phase change material cooling system, and thermo-electric cooling system & heating. Use of automotive battery thermal management systems ensure optimal temperature control, energy efficiency, and improved performance in batteries of electric vehicles. The growing automotive industry, and increasing demand for electric vehicles drives the growth of the automotive battery thermal management system market. The rising demand for improving battery performance and efficiency in automobiles support the growth of the automotive battery thermal management system market across the globe. The rising awareness regarding electric vehicles, and increasing environmental concerns have accelerated the adoption of automotive battery thermal management systems. The rising adoption of advanced Lithium-Ion batteries, and growing implementation of battery-driven public transport further fuels the growth of the market. The increasing demand of electric automobiles from emerging economies, and technological advancements also increase the demand of automotive battery thermal management system systems worldwide. The introduction of stringent emission norms imposed by the government, increasing government initiatives in tax exemption with purchase of electric vehicles, and development of charging infrastructure are factors expected to provide numerous growth opportunities during the forecast period. The global automotive battery thermal management system market is segmented on the basis of technology, battery type, vehicle type, propulsion, and geography. Based on technology, the market is segmented into manual active battery thermal management system, and passive battery thermal management system. The demand for active systems is expected to increase during the forecast period owing to increasing demand for battery electric vehicles. The rising environmental concerns and growing pollution levels across the globe would support the growth of this segment. The battery type segment is divided into Conventional Batteries, and Solid-State Batteries. The vehicles included in the report are passenger vehicles, and commercial vehicles. The passenger vehicles dominated the global market in 2017 owing to increasing disposable income, rising awareness, and stringent regulations. The propulsion segment includes battery electric vehicles, hybrid electric vehicles, plug-in hybrid electric vehicle, and fuel cell vehicle. 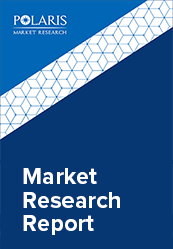 Geographically, the automotive battery thermal management systems market across North America, Europe, Asia-Pacific, Latin America, and MEA. North America is further segmented into U.S., Canada, and Mexico. Europe is divided into Germany, UK, Italy, France, and Rest of Europe. Asia-Pacific is bifurcated into China, India, Japan, and Rest of Asia-Pacific. Asia-Pacific accounted for the highest share in the global automotive battery thermal management system market in 2017 owing to growing demand of electric passenger cars in the region, and technological advancements. The vendors in the market are launching new products to meet the growing customer needs. In addition, the leaders in the market are acquiring and collaborating with top companies in the market to enhance their offerings in the market and expand their customer base. The Automotive Battery Thermal Management System market is highly competitive with the presence of a large number of small and large vendors. The leading players in the automotive battery thermal management system market include Robert Bosch GmbH, Dana Incorporated, LG Chem., Calsonic Kansei Corporation, Continental AG, Gentherm Incorporated, VOSS Automotive, CapTherm Systems, Hanon Systems, and Mahle Behr GmbH among others.